This 3D-printable bionic limb is controlled by a smartphone, powered by camera batteries and based on an Arduino. If you sit back and reflect over the past couple of years, it’s truly remarkable how far the world of prosthetics has come thanks to recent advancements in 3D printing and open hardware. These artificial limbs have transcended well beyond the heavy, plastic and metal pieces of yesteryear into lightweight, sci-fi-like accessories that can be easily constructed and controlled in ways never before imagined. 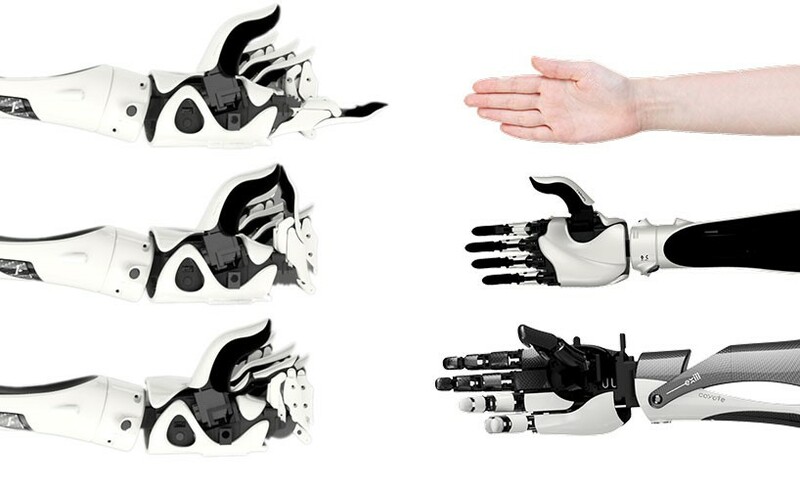 Aside from providing these body-adorned gadgets with futuristic capabilities, what makes the sleek and futuristic prosthetics even more appealing are their price tags — a fraction of the cost of its older and commercial counterparts. With aspirations of accelerating development and increasing accessibility, Japan-based startup exiii has developed an open source bionic hand that is built around an Arduino Micro (ATmega32U4) and myoelectric sensors, uses a smartphone as the brains of its operation and relies upon camera batteries for power. 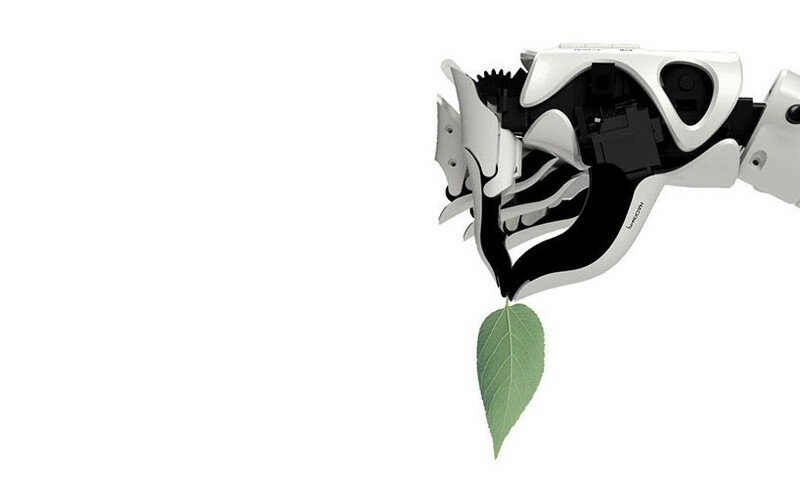 Named HACKberry, most of the device is comprised of 3D-printed components that can be taken apart and swapped out whenever necessary. “HACKberry is a practical model for daily use created through the cooperation of actual users. Hackberries, which are a species of trees included in the elm family, grow many branches,” exiii writes. “Our goal is to develop an artificial arm that would become the platform upon which developers and artificial arm users from all over the world are able to build as they wish. 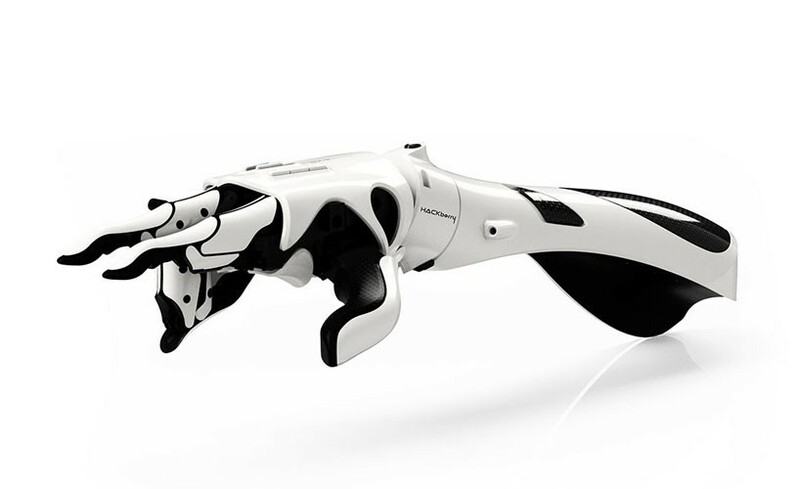 While its newest model may not be ready for sale yet, the limb only took $300 to create. The latest iteration boasts a number improvements compared to its more expensive (and not open source) sibling, the Handoii, which includes a more flexible wrist for various movements, a smaller palm to make it attractive for women to wear, and enhanced compatibility to an assortment of camera batteries. Impressively, what really sets HACKberry apart is that its ductile fingers that can even differentiate between grasping and picking up based on the object, whether that’s turning the page of a magazine, grabbing some nail polish or even tying one’s shoelaces. Want to learn more? exiii has made all of its files available on GitHub page. This includes printing and source codes for software, as well as all the data for its hand, sensor and battery boards. In the meantime, you can see HACKberry in action below! This entry was posted in 3D Printing, Arduino, Arduino-Compatible and tagged 3D-Printed Prosthetics, Arduino Micro, ATmega32U4, exiii, HACKberry, open source, prosthetics on June 1, 2015 by The Atmel Team. woah that is amazing! nice article! !